Always a great gift to that someone special or just because. You choose the amount of time and they choose their own type of treatment. Give someone a gift of health...They will thank you for it! 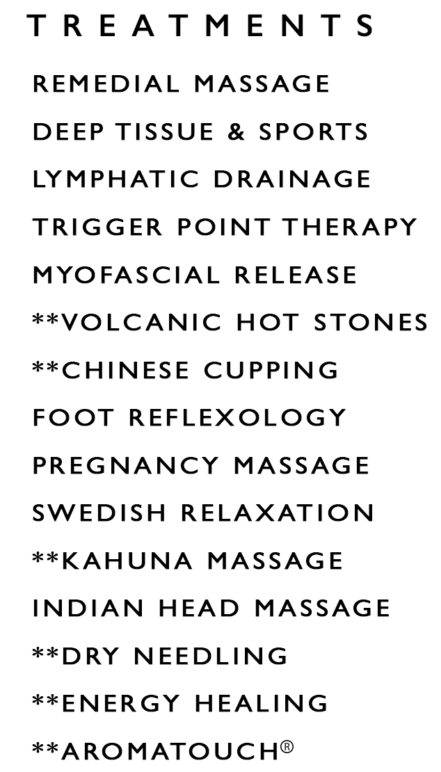 Did you know we sell massage packages? 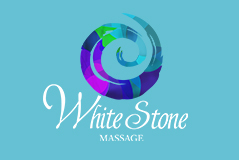 At White Stone Massage you can bulk buy your sessions and get up to $10 off per treatment! Ask one of our team members for more information and get your package today! Want to take a little bit of your massage experience home? Then you can't miss out on the range of products we offer exclusively to you! Ask one of our team members about our products on your next visit, or simply go on our website and shop online to get your product delivered to you at the comfort of your house. At White Stone we pride ourselves on not to only making you feel great, but in finding the cause of your discomfort and helping you to correct it. With highly trained and experienced staff, you can be confident that you are in good hands. Not only will you walk away feeling fantastic but you will also have the knowledge and the tools to keep it that way. What sets White Stone apart from other clinics is our fresh approach to this ancient healing techniques, and the belief that therapeutic massage has endless benefits for the average person as well as the elite athlete. Please arrive for your appointment 5 minutes prior to your allocated time. This allows you the time to fill out the appropriate client form, and prepare for the service. 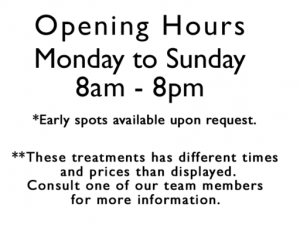 Late arrival may result in a shortened session time in order that we can accommodate appointments following you. Missed appointments will result in pre-payment for any subsequent appointments that might occur in order to secure your booking. For first time client White Stone reserves the right to charge a $40 deposit to secure your booking. If a client was given a Gift Certificate and miss the appointment the voucher will immediately be cancelled and a $30 AUD therapist fee will also apply. Late or missed appointments exclude others from receiving treatment and inconvenience both the therapists and other clients who were unable to book the session time. If a client cannot keep an appointment with us, it is expected that notice is given as soon as possible by calling the centre and speaking with a staff member or leaving a voice message. Failure to give notice will result in pre-payment for any subsequent appointments that might occur in order to secure your booking unless there are extenuating circumstances. White Stones Massage also reserves the right to charge a therapist fee of $30 AUD If less than four hours notice is given. If a client was given a Gift Certificate and cancel the appointment in less than four hours prior to the session the voucher will immediately be cancelled and a $30 AUD therapist fee will also apply. During our peak season of 1 December to 31 January, a minimum of 24 hours notice is required otherwise pre-payment or voucher cancelation, and therapist fee will apply. Any adjustment of this policy is at the discretion of the owner(s). No refunds will be given for deposits, cancellations with less than four hours notice (24 hours in peak season), or gift certificates purchased. The owner(s) reserve the right to make the final decision on this policy. Additional (prepayments and securing appointment times). When using gift voucher any service beyond 30 mins or back-to-back bookings will require a gift voucher number to secure your appointment. Massage is generally safe for most pregnant women. However, the safety of massages in the first trimester has often been an area of controversy. Because of this, White Stone Massage reserves the right to refuse to give pregnant women a massage until after the first trimester (12 weeks). The client understands that any illicit, sexual or aggressive remarks, advances or gestures will not be tolerated and will result in the immediate termination of the session, and the client will be liable for full payment of the scheduled appointment. These policies have been adopted to ensure that the professionalism and ethics of our clinic are respected, and to ensure your scheduled service is a stress-free and relaxing experience. If you have any questions about our policies, please contact us on 07 5535 7500.